Branford Marsalis is the eldest brother in America’s “first family of jazz,” but jazz is just one corner of his resume. The sax man has played with pop artists ranging from Sting to the Grateful Dead to Public Enemy and fused jazz and hip-hop with his own band, Buckshot LeFonque. He served as Jay Leno’s bandleader on “The Tonight Show” for three years, recorded the soundtrack for Spike Lee’s film “Mo’ Better Blues” and composed music for August Wilson’s “Fences” on Broadway, earning a Tony Award nomination. Marsalis’ career embodies the famous quote from Duke Ellington that there are only two kinds of music — “good music and the other kind.” And for the past decade, Marsalis’ focus has been on performance territory that was first staked out by his kid brother, trumpet player Wynton: classical music. Marsalis, who turned 54 in August, spoke by phone about taking a deep dive into the classical repertoire. Question: What was the challenge of switching to classical music? What did you have to learn, or unlearn? Answer: I think you need to unlearn things in golf, but not really in music. I didn’t have to unlearn anything, but I had to learn a hell of a lot. I had to reconfigure my embouchure (mouth position) to make it more stable. The control that you have to have to play with orchestras is very different than when you’re playing with drum sets, because with drums, there’s two volumes, basically, loud and louder. The stamina has to improve to play pieces for 15 and 20 minutes, because there’s no piano player coming to spell you when you get tired. And the rest of it is just the little things you learn by going onstage and making a ton of mistakes. There’s no substitute for that. There’s no substitute for being on a stage and being overwhelmed and fighting your way through it. Q: What composers or pieces drew you toward the classical repertoire? A: I bought my first opera when I was 25, touring with Sting, actually, when there used to be Tower Records everywhere. I laughed, because it was “Turandot” with Pavarotti and Mirella Freni singing, and it was on sale for 30 (British) pounds. And I was like, “How the hell is that a sale? That’s like 55 bucks.” So I bought that, and it was just like a revelation. In popular music, you have a basic track and then you have a singer. But suddenly I’m listening to this orchestral score that’s so rich, and it’s not just one singer, it’s multiple singers singing at the same time, and it’s all contrapuntal and it’s complex, and it all works. I didn’t even know how to comprehend it. So I became a Puccini fanatic. I bought a couple of things by Verdi, but then I stumbled into a guy who said, “You got to listen to German opera. You’ll never want to hear the Italian stuff again.” Which I highly doubted. But I bought (Richard Strauss’) “Salome” and I’ve never turned back. A concert of Baroque saxophone: What can that possibly sound like? A Seattle audience is about to find out. “We have not yet started rehearsals, so I can’t presume what we will sound like,” says Branford Marsalis, the Grammy Award-winning musician and composer. The renowned and ubiquitous saxophone player, who has performed with everyone from Miles Davis to Public Enemy to the New York Philharmonic, is kicking off a 20-city tour with the Chamber Orchestra of Philadelphia at Seattle’s Meany Hall for the Performing Arts on Saturday (Oct. 4). 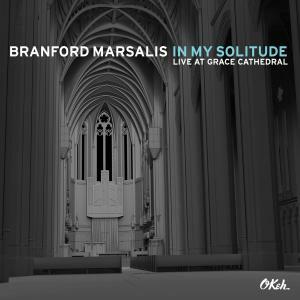 In an email interview days before Marsalis and the 50-year-old ensemble began rehearsing, the leader of the Branford Marsalis Quartet looked ahead to a Meany program of early music from across Europe. The bill includes works by J.S. Bach, Henry Purcell, Tomaso Albinoni, Louis-Antoine Dornel and others.